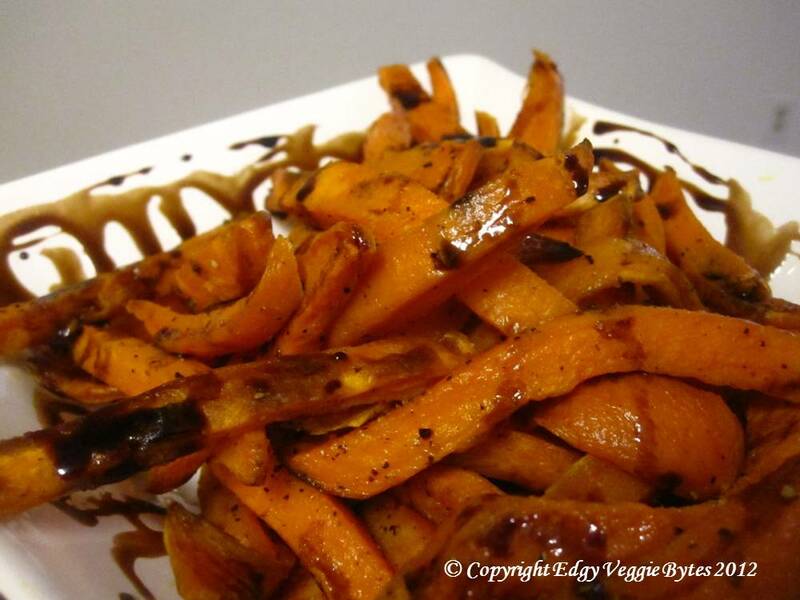 The first time I had sweet potato fries with a balsamic drizzle was at a restaurant called Nest- and I loved them! I usually like anything sweet potato, but the balsamic drizzle really gave it a great taste. However, in my quest to be healthier, I wanted to try baking them instead of frying them. So I tried a variety of thicknesses, baking temperatures, and times- finally settling on the one below. To be fair, they do not taste like “fries” because they don’t have that same crunch. That being said, I still liked them, and felt a whole lot better about eating them! I served these fries with a balsamic drizzle (next post) for Thanksgiving. 2. Arrange the fries in a single layer in a 9×13 baking tray. Bake at 425 F for 12 mins. Flip them and bake for an additional 12 min.